New Delhi: “Art can only be promoted if you have passion for it. 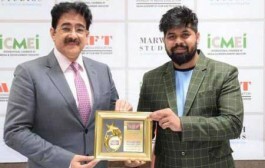 Keep your love for art on your sleeves, people should be able to identify you as an artist immediately,” said Dr. Sandeep Marwah Chancellor of AAFT University of Media And Arts at the inauguration of painting exhibition of paintings by new artist Savy Jain at Ronald Art Gallery at Alliance Francaise. 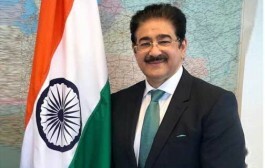 Large number of art lovers, artists and members of Alliance Francaise were present there at the time of inauguration. 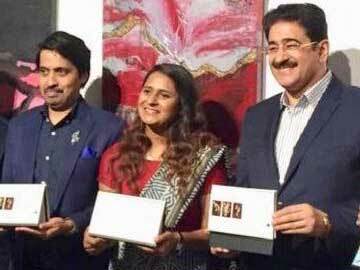 Dr. Marwah also released a calendar of paintings by Savya Jain.